As you drive into Montalcino, you will be struck by the visual symmetry of the medieval walls surrounding the town, which date back to the 13th century. The fortress of Montalcino, which was a powerful presence in its day, still invites you to take your place in history as you envision the battles, the nobles, and the life styles that thrived in this structure so many years ago. Climb to the top of the Fortress and your breath will be taken away by the expanse of blue horizon and Italian countryside that spreads out before you. A Montalcino villa will place you very close to the bustling life that defines this adorable town, and you may find yourself taking a daily jaunt into the centro storico, or the historical center, of town to discover what kinds of fresh fruits, vegetables, and cheeses the market has to offer that day. Montalcino is world famous for its Brunello di Montalcino wine. Take your time to visit the local winery and wine sellers. Here, you will be greeted by friendly locals who love their wine and it will not be long before you fall in love with the local wine, people, food, and culture as well. Though your curiosity will run wild within Montalcino's web of medieval churches, piazzas, and Etruscan buildings, your Montalcino villa also places you in close proximity to Pienza. Pienza and other nearby Italian towns are a photographer's fantasy, abundant with picturesque Cyprus trees, intriguing architecture, vibrant colors, and cobblestone streets. Montalcino's main piazza, the Piazza del Popolo, hosts the town hall which still retains the coat of arms of the Podesta, who once ruled the city. Venture from your Montalcino villa into this bustling meeting place, grab a cone of sweet cream gelato, and have a laugh with the local Italians. 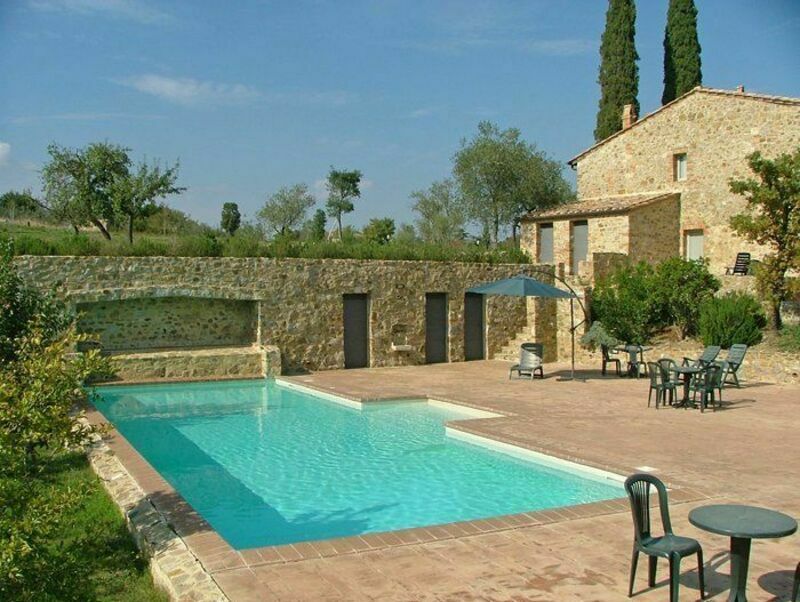 We like to make the process of renting a Montalcino villa as simple as possible. You can select a property yourself and request a hold, or consult with our specialists. 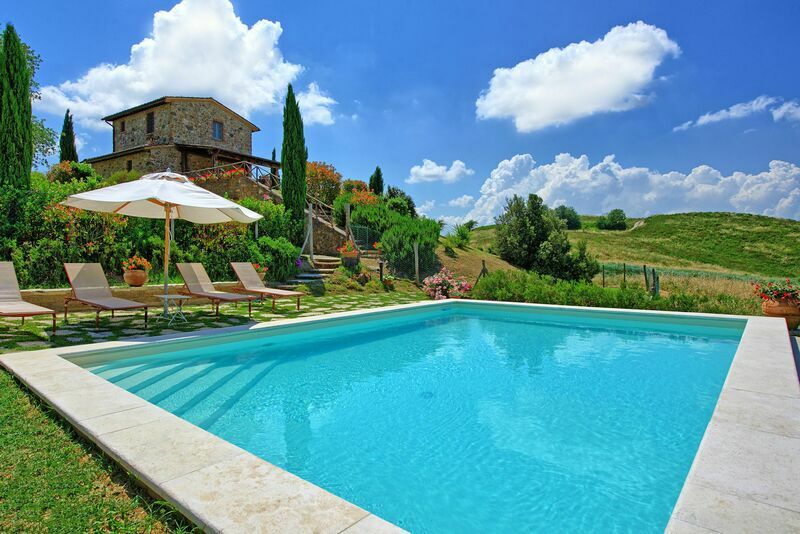 Search for a villa rental in or near Montalcino - Start with our convenient search screen and look by availability dates and preferences. When you see properties you like, send us an inquiry or reservation request. Want to consult a travel advisor familiar with Montalcino?